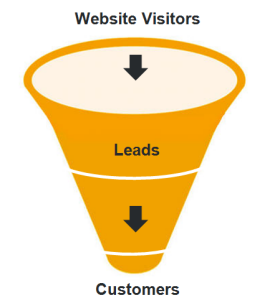 Generating leads from your company website. No Superpowers required. Three words trump all others in the marketing arena: Generate. More. Leads. But not just any leads: Qualified Leads. A qualified lead is a lead that has been nurtured and educated and identified as sale ready. As a marketing manager, those three words: Generate More Leads fire up the marketing engine you are driving on a daily basis. You rely on your company website to generate leads, but is your company website generating the leads you need? What changes could you make to your website to ensure that you draw the right leads in? What systems do you have in place to better qualify identified leads for the sales team? The good news is that you don’t have to have superpowers to succeed. Sales tech and software provide marketers with excellent tools to drive their teams to even greater levels of success. We have identified 3 crucial steps to creating a lead generating website. It’s content that attracts visitors to your page. Focus on selecting content that engages your customer most. If you don’t have any content that is good enough, then invest in creating better content. Your content should be of a high quality and speak directly to your customer. Perhaps video works better than articles for your target market? This will draw them in and that’s half the battle won. Create landing pages to place content offers. What makes a lead generating website distinct from a brochure-type site is the level of engagement it requires from the visitor. Setup your content offer on a landing page. Make use of tools such as the HubSpot landing page tool. Creating multiple landing pages in this manner is fairly simple and time efficient. At this point you will successfully extract some useful baseline information needed in order to qualify your leads. The next step is to make sure that you ask for something in return for the content you are offering. Create a call-to action. This is again fairly easily achieved when making use of tools such as the HubSpot CTA builder. On this platform you can customise your call-to-action and add your landing page URL. Place your CTAs below all blog posts and other pages where appropriate. The flow then works like this: website visitors are attracted to your content through various means (social media, search engines, etc. ), this content (in most cases a blog post or webpage) then carries a CTA (call-to-action) that upon clicking takes the visitor to the landing page with your offer. On this landing page they fill in their details in exchange for your offer (an ebook, for example). At this moment a conversion from visitor to lead has taken place. Nurture leads by keeping the conversation going and the relationship steady. Building a sense of familiarity between the potential customer, your company and your product is vital. Do not fall into the sales trap. Guide your leads along an educational path towards the conclusion: the sale. Let your leads raise their hands when they're ready. Your job is to provide the opportunity to do so. Create a workflow system that will manage a lead through the buying process. Automated processes and sales technology equip marketers to keep track of multiple leads throughout the buying process. Content Management Systems (CMS) and Customer Relationship Management (CRM) software are just some of the tools that smooth this process over. Analysing and reporting on every aspect of the lead generation process adds meaning to the results. Seeing what works and what doesn’t and then communicating this to members of the marketing and sales team will give you insight on how to improve your strategy. There are various analytics tools that will assist you in understanding your data. Software such as Hubspot will give you all these tools combined, helping you automate as much of this process as possible while concentrating on the most important aspect of this all – delighting your leads and clients.